A wedding venue plays a huge role in shaping the ambiance for your whole wedding. It’s important to decide what kind of venue you are looking for depending on your style, budget, and guest count. You also have to consider the wedding as a whole, finding a venue for your ceremony, reception, and extras like a cocktail hour if you plan to include one. Once you’ve decided what kind of venue you’re looking for, start making appointments to go see venues. Start by looking online to get an idea of what places you’re interested in, but then go see them yourself because you can’t depend on the photos on a website. When you go to look at venues bring a notebook with you, take pictures, and carry your checkbook or credit card. It’s never a good idea to book the first place you see, but be prepared to put down a deposit if you fall in love with a venue that has limited availability. Now that you’re ready to start researching wedding venues, take into account these 5 main things to consider before you choose a wedding venue. Before you book a wedding venue you have to plan your budget for your whole wedding. If you don’t know your budget for the wedding, you could end up spending all of your money on the venue and later realize you have no money left for something else that was really important to you like a specific band or a three-course dinner rather than a buffet at your reception. Keep your budget in a spreadsheet and track all of your spendings as you start planning and paying for your wedding. It’s also a good idea to keep your research on wedding venues in a spreadsheet to help you weigh your options. Your wedding style will determine what kind of venue is most appropriate. Think carefully about what kind of wedding you want – formal or informal; traditional vs. modern; night or day; indoors or outdoors; etc. Once you narrow down what your style will be, you can look at particular types of wedding venues and not waste your time on others. That’s why it's best to know what you want before you start searching. Your style also plays a role in how your wedding colors and décor will match with a particular venue. 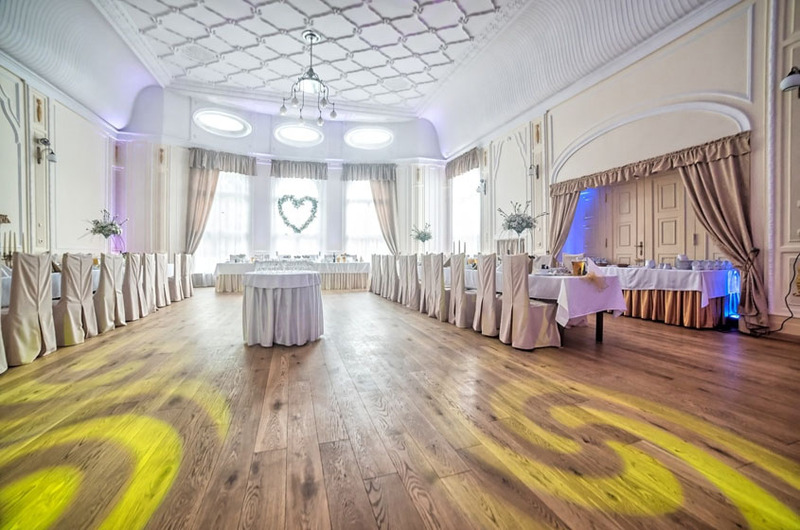 If you want an outside venue then décor won’t be as important, but if you want a classic wedding then make sure the hotel ballroom you’re considering as your venue will allow you to decorate the way you want. You will need to come up with a solid estimate for your guest count very early on in your wedding planning so you can plan your budget and select an appropriately sized venue for your ceremony and reception. The deposit for a wedding venue is usually based on your guest count and most venues will require a rough estimate 60-90 days before the ceremony, and a final guest count 72 hours ahead of time. Remember to check with people who do not RSVP too. You’ll be charged the day of your wedding if extra people show up unexpectedly so make sure you won’t have any “surprise” guests show up who didn’t bother taking the time to RSVP. Outdoors: Do you want an outdoor wedding? Then you will have to consider the best time of year to plan your ceremony and account for the fact that outdoor venues will be harder to book during the summer months when a lot of people plan their weddings. For a beautiful outdoor wedding venue think about a beach or vineyard. Outdoor wedding receptions on a beach or vineyard are also lovely so find out if you can hold your ceremony and reception together at any outside locations you are considering. Indoors: There are unlimited options for an indoor wedding so it’s essential to decide on your style preferences before putting down a deposit on an indoor venue. Book appointments to look at hotel ballrooms, churches and cathedrals, and other large venues for parties and weddings. 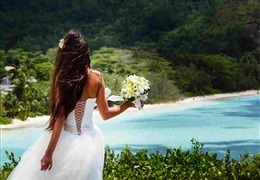 Destination: Destination weddings are beautiful and so fun for your friends and family to travel to an exotic destination far from home, but they’re also very expensive and require further planning ahead. If you’re considering a destination wedding, ask your guests whether they would be able to attend and look into potential costs early to start planning your budget. Layout – Is there space for all aspects of your wedding? Consider whether you can hold the ceremony, cocktail hour, and reception all in one venue or if you will need to book multiple venues. Parking and Transportation – Is there free parking or public transit available? Extras – You will need A/V equipment, chairs, tables, linens, etc. for your ceremony and reception. Consider whether your preferred venue will include those in a package. Caterers – Does your preferred venue have an in-house caterer or can you select your own? Also, consider your preferred wedding menu and whether or not a venue can accommodate that. Finding a place to get married is a big decision. A wedding venue has to accommodate your style, guests, and be within your budget. A lot of details go into planning a wedding so set your budget early and don’t spend too much on booking your wedding venue to find out later that you can’t afford the dinner you had planned or the band you’ve been dreaming of for months. So much information is available online for researching wedding venues, but make sure you go see venues in person before you put down a deposit. You may be pleasantly surprised by a secret hidden garden that wasn’t mentioned online or not like the look of a ballroom once you’ve seen it in person. Take the time to look at plenty of places and be prepared to put down a deposit on the spot if you find a place you love that has limited availability around your desired wedding date. If you use our advice of things to remember when choosing a wedding venue and take advantage of our venue checklist template, you’ll be sure to find the perfect venue. Check out this list of top wedding venues near you. You will definitely find a large selection of ballrooms, roof tops, beaches or beautiful gardens with a mountain view.